Social proof is all about community. It’s a concept based on normative social influence: the idea that people will generally confirm in order to be liked or accepted. How does it apply to e-commerce? Well, if you’re visiting a website and you discover a testimonial from a satisfied customer or an industry expert, that’s social proof. It’s leveraging third-party influence to convince potential customers that you’re trustworthy. So what if you’re a new brand who doesn’t have any social proof (yet)? How can you successfully market yourself on social media networks like Facebook? Here are some ideas. User-generated content (UGC) is one of the most effective methods of social media marketing — and also one of the cheapest. It fosters engagement among your customer base, while also driving referral traffic and brand awareness. According to Crowdtap, consumers trust UGC 50% more than other forms of online media. It’s one of the best types of social proof there is. It might seem counterintuitive, but your customers actually have the ability to market your business far better than you. Ok, user-generated content is important. How do I get it? 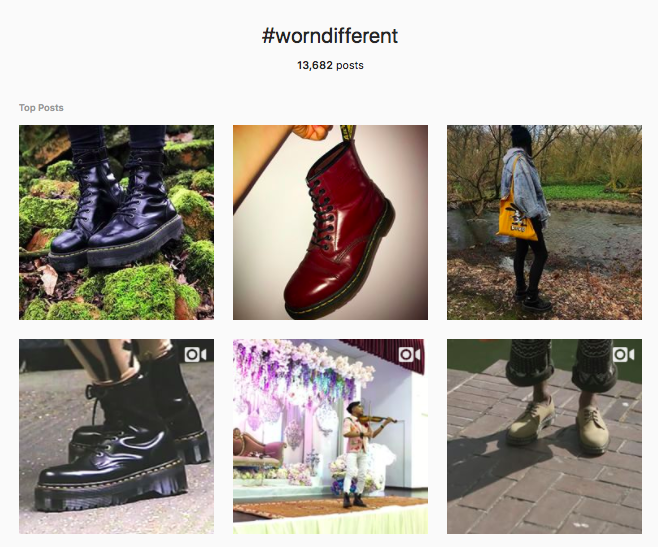 Create a unique UGC-focused hashtag that aligns your brand with relevant trends or seasons. For example, Starbucks’ #RedCupContest and Adobe’s #Adobe_InColor. Devise a competition where you give users an opportunity to share their own ideas, photos and videos. Work with social media influencers to have them create content for you as a way to kick things off — more on influencer marketing below. Check out these user-generated content examples from brands on Facebook. You’ve probably heard of influencer marketing, and you may also be aware that working with top influencers can cost an absolute fortune — with no guarantee of results. The thing about macro influencers, as they are called, is that everyday people find it hard to relate to them. It’s hard to build an authentic celebrity-audience relationship. The distinction between micro influencers and macro influencers comes down to subscriber count. Micro influencers usually fall in the region of 10,000-100,000 followers, compared to 100,000+ for macro influencers. 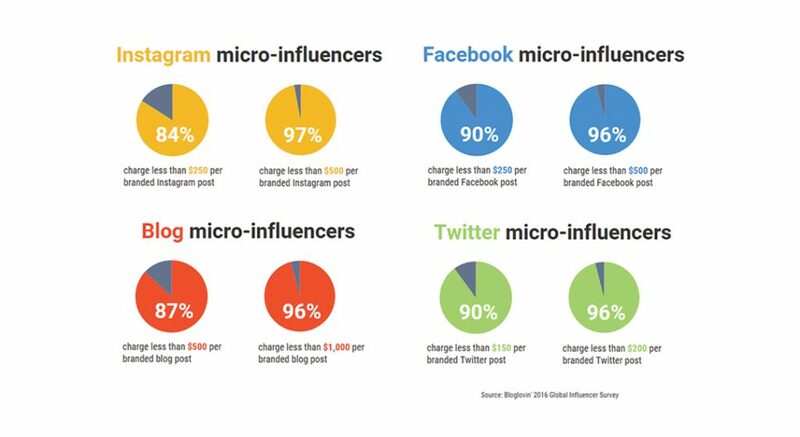 While micro influencers have a smaller audience, they’re more likely to have a close and loyal following who actually engage with what they have to say. The price difference is significant too — a micro influencer might charge in the region of $250-$500 for a post, whereas the same from a macro influencer could set you back anything from $20,000 to $100,000. Again, with no guarantee of results and little assurance when it comes to terms and conditions. How can I find micro influencers in my niche? Outreach tools like BuzzSumo, Ninja Outreach, and Buzzstream make it easy to contact influencers from any given niche, pulling in figures like social follower count and website authority. Just ensure that you get good at negotiating, and don’t be afraid to walk away from something if it doesn’t feel right (speaking from experience here). Here’s some advice that bears emphasizing: your Facebook marketing will only ever be as good as your content. There’s certainly a time and a place for paid advertising, but it’s not the be all and end all when it comes to marketing a new store. At the core of successful online communication is one thing: great content that stands out. If you do nothing else, invest your time in creative, valuable, useful content that’s tailored to your audience’s interests. It’s all about integration and making sure that an investment in one marketing channel pays off in others. How do I stand out with content on a crowded social medium like Facebook? Stay updated on what’s happening in your industry — you need to be ready to jump on new trends as they develop. Embrace quality over quantity. Poor content is pointless — only by sharing genuinely decent content will you start to amass likes and shares organically. Don’t flog a dead horse — it doesn’t matter how much money you pour into advertising bad content; it’s not going to generate results if no one cares or wants to read it. Be visual. It’s easy to enhance your content with beautiful imagery — even high-quality stock photos — and video/interactive content does well too. Remember, Facebook posts that feature images receive ~40% higher engagement rates. Facebook isn’t a megaphone — it has to be a two-way conversation. If you’re lacking social proof at this early stage, you need to put even more effort into listening and interacting with new followers. It’s ok to ask directly for the kind of engagement you’re looking for with a tell us about or a like our page for more in your posts. The key is this: if someone reaches out to your company on Facebook, be ready to respond as quickly as possible. As consumers, we’re advertised to constantly, every day. So to be successful, your Facebook posts — and subsequent interactions — need a personal touch. Naturally, your followers may want to hear news about your company and any offers or promotions you may be running, but they don’t want to hear a sales pitch 24 hours a day. Instead, try posting fun and engaging questions for your followers to respond to – without them being tied to your sales objectives. Start conversions and contribute to them. In doing so, you can start to connect with your audience on a more human level. The first thing many entrepreneurs think of when they start building up their business on social media is oh, I must create a Facebook page! — expecting that this will soon become a hub of engagement for their brand. Without an advertising budget, creating a super engaged Facebook page — especially a business page — is really hard. However friendly and personable your tone of voice, people are still aware that on some level, it’s an advertisement. This is why it’s worth creating a Facebook group for your business, in addition to the page. With a group, you’ll find it’s much easier to foster an engaged community of individuals having real conversions, which of course, you can dip in and out of. Before you know it, you have a tailored, attentive audience ready to hear what you have to say. 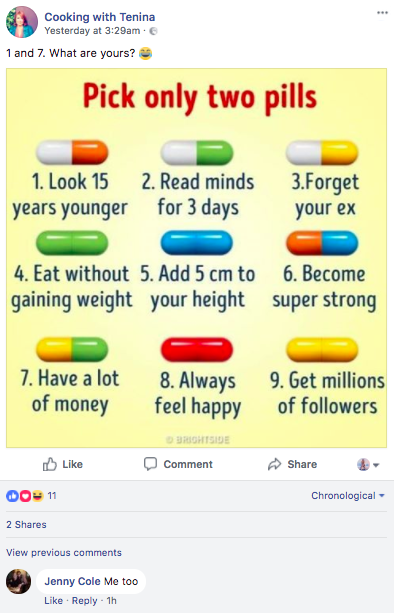 Why are Facebook groups so effective? The group setting leads to more personal engagement — without the barrier of engaging with a business who might jump in and try to sell to you. You can solicit feedback using polls. It can be an incredibly valuable way of getting to know your niche better and understanding what customers really want. They foster trust, which, if you’re lacking social proof, is a key element for your business to focus on cultivating. You can use them to selectively announce offers when the time is right. It’s important not to use Groups as a second sales channel. They should be reserved for very specific, targeted deals that the collective will find valuable. You can pin a post to the top of the group that directs members to your site or invites them to sign up, so interested parties know where to go – without being pushy. Invite your customers to submit user-generated content that will add another perspective to your brand. Find relevant micro influencers to collaborate with, allowing you to leverage their existing audience. Create and post quality, relevant and visual content that gets shared organically. Start a two-way conversation with your followers and reply in a timely manner to their comments. Make use of Facebook Groups for sparking debates, getting to know your audience and generating authentic engagement. Got questions for the author? Post them in the comments!